Our 35-item list will turn you into the captain of the gift express. Believe it or not, the holiday season is here, and that means expectations are on the rise. If you have a boater, angler or watersports enthusiast on the list, then we’re here to make your life easier. We compiled a list of about three dozen suggestions that will lead to countless other gift ideas, because that’s just the kind of helpful people we are. If the item we suggest isn’t exactly right for the special person on your list, chances are the manufacturer has something similar that fits. And if an item makes you exclaim, That’s perfect!, you can thank us now or later. Anyway, on to the good stuff. The first and most important item, of course, is a subscription to Boating World. At only $10 for a two-year, 18-issue subscription (boatingworld.com/subscription-services), it’s the kind of gift that could make several people happy. 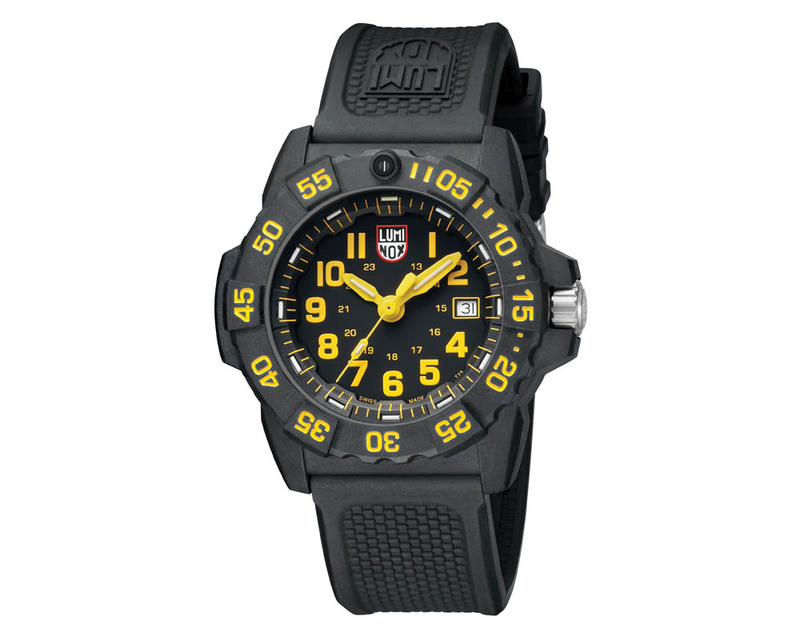 Anglers and other active watch wearers will like the fact the crown is on the left side of the face. Waterproof to 200 meters, the Sportfisher II Classic from Hook & Gaff (what a name, right?) comes in several band and face options, for personalization. 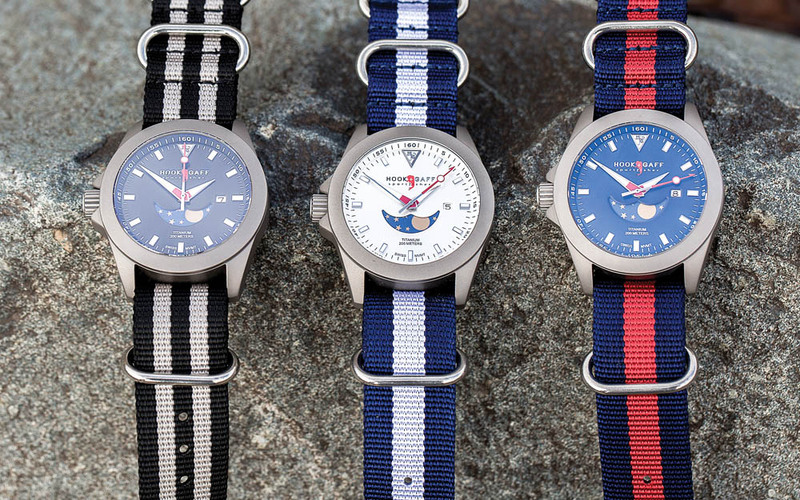 With seven colorways to choose from, the Navy SEAL 3500 series has something for the watch hounds. The case is carbon compound, the strap is polyurethane, the face is 45mm across, tritium tubes illuminate the hands and the hour markers, and it’s waterproof to more than 200 meters. 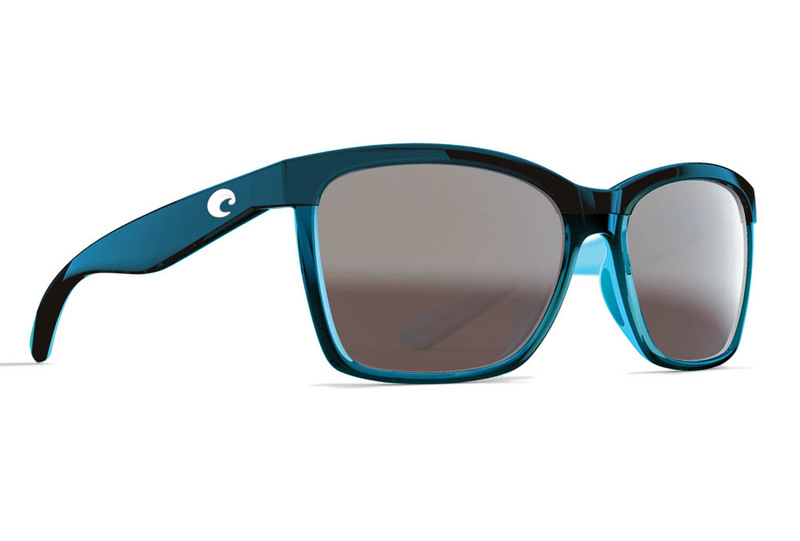 Named after an unspoiled beach and made of bio-based resin instead of plastic, Anaa sunglasses from Costa will look fashionable on and protect the eyes of the woman on your list. 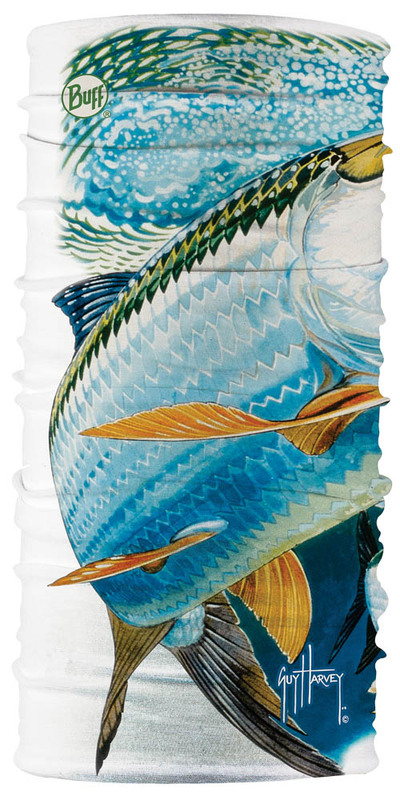 Plus, a portion of each purchase goes to OCEARCH, whose stated mission is to protect the oceans’ sharks. 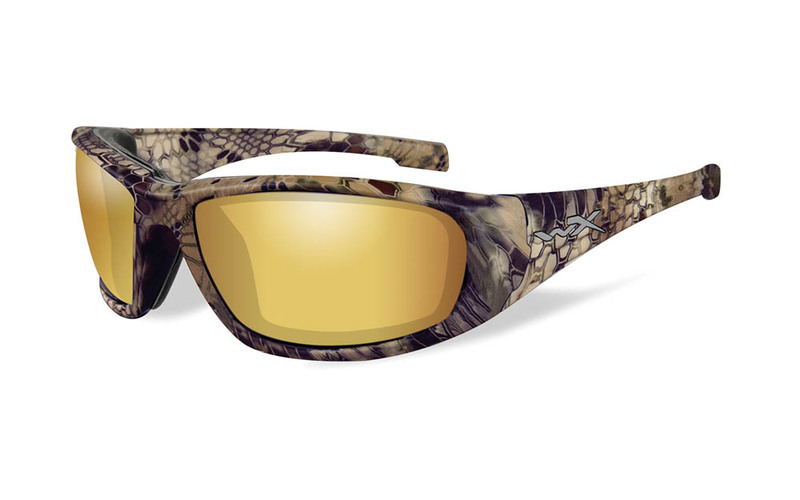 Venice Gold polarized mirror lenses and a frame clad in Kryptek Highlander camouflage define these Boss sunglasses from Wiley X. Anglers will like the distortion-free clarity and the sun protection. They can accommodate prescription lenses too. Know a couple who like to hit the water early and late in the season? 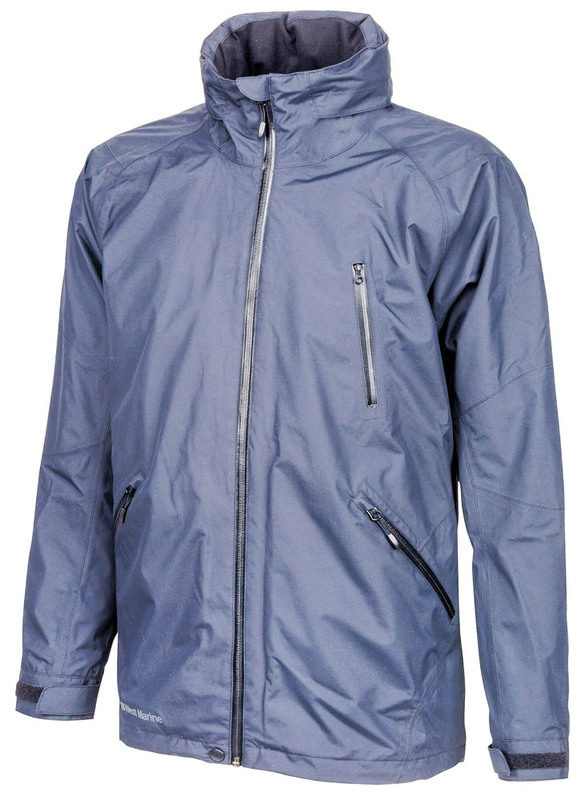 Give them the gift of warmth with a Delmara women’s and/or Ostria men’s jacket (pictured). 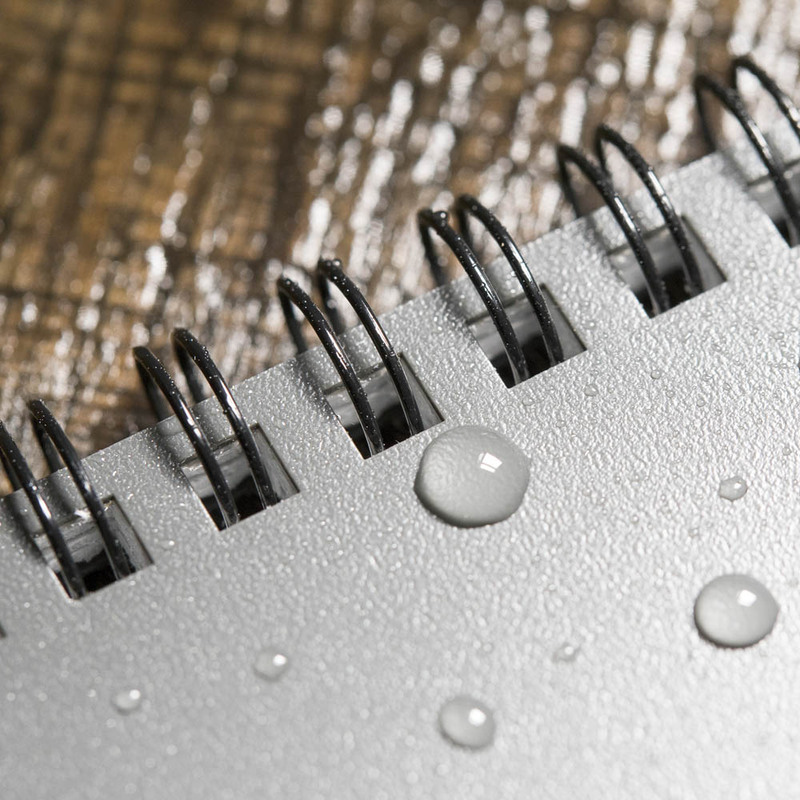 Both are lightweight but durable and waterproof and windproof. If you know someone who has lost a phone to the drink, the SnowLizard SLXtreme iPhone case could save the day. Once the phone is inside the waterproof case, it’s safe. 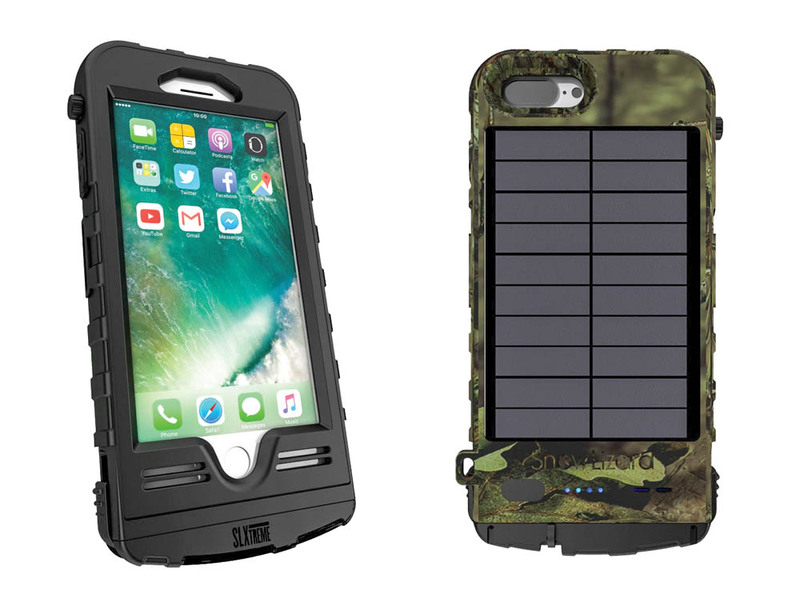 All functionality is retained, and the case includes a solar charger that charges the phone. Make sure the littlest crewmembers on your boat or someone else’s have life jackets they’ll actually enjoy wearing. 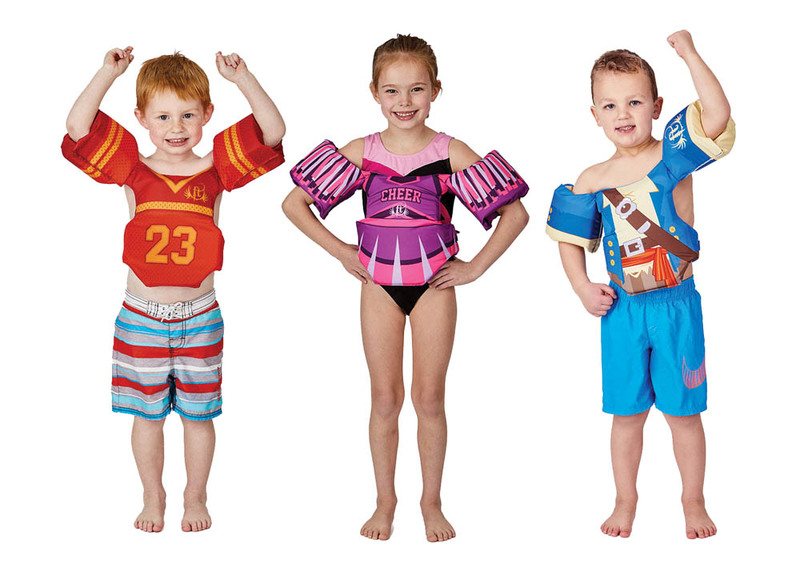 Little Dipper life jackets are U.S. Coast Guard approved, are for children from 30 to 50 pounds and come in Cheerleader, Sports Hero, Ballerina and Pirate styles. 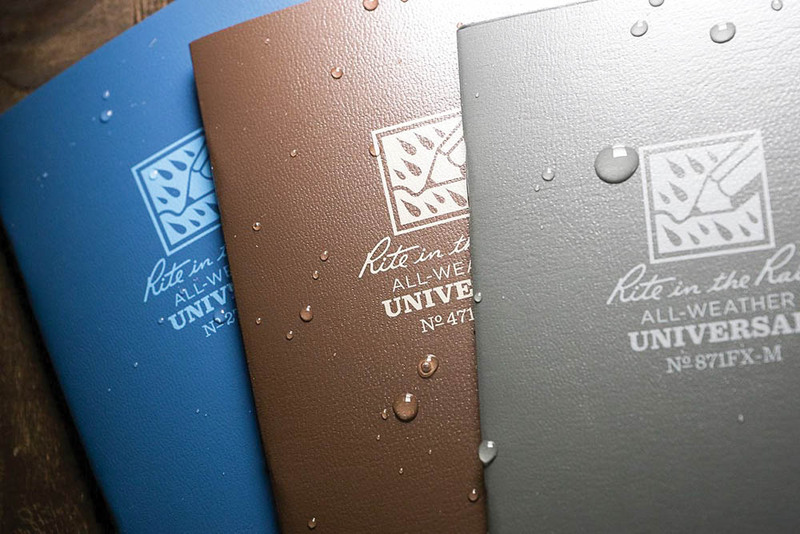 Whether someone you know likes to take notes of fish caught or tricks conquered, an Elements notebook from Rite in the Rain will stand up to marine conditions. 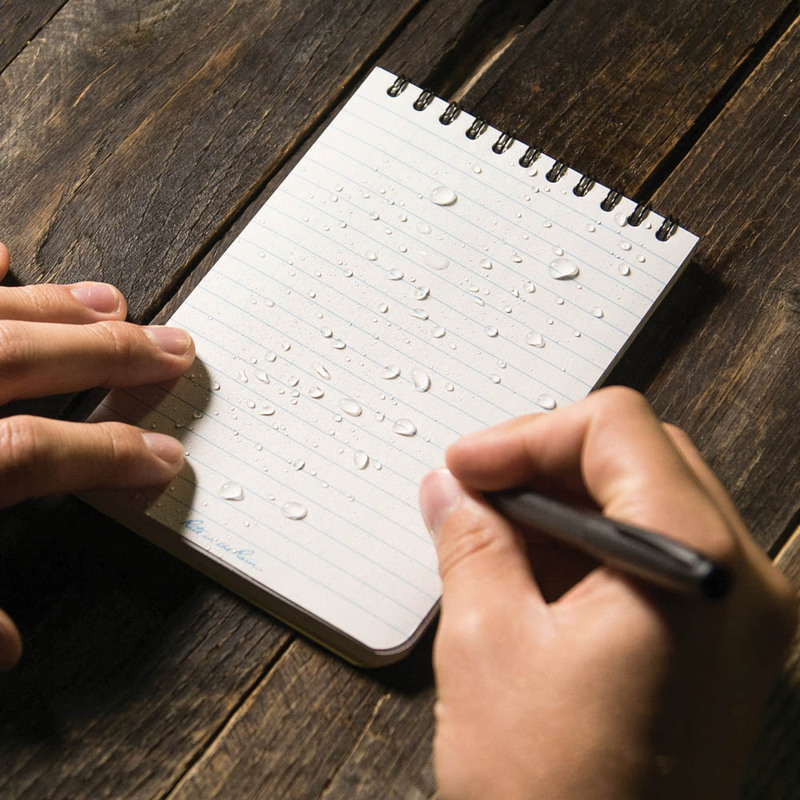 Thoughts written in it won’t run or wash away, and the paper can be written on while wet, with a pencil or all-weather pen. 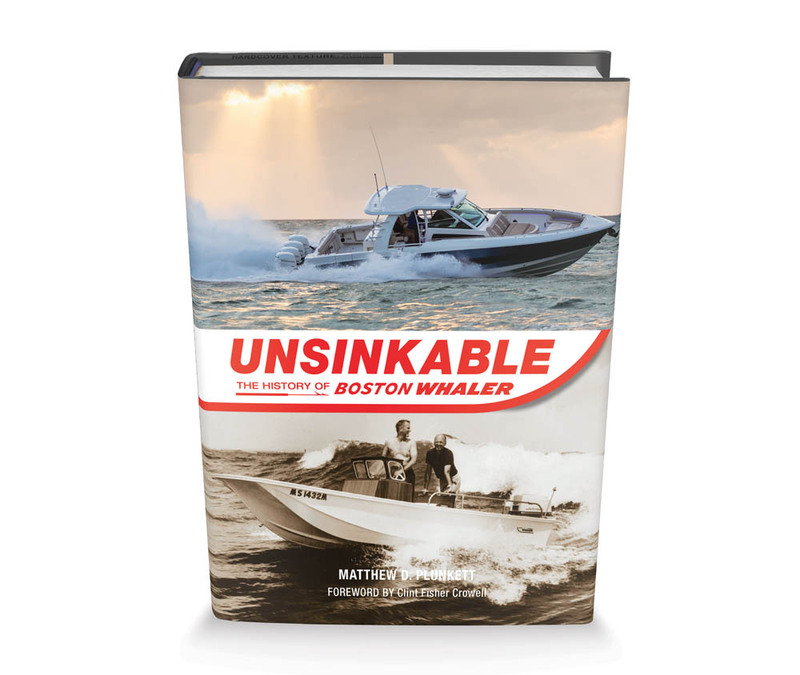 For the person on your list who like Boston Whaler, or enjoys reading about boat building in general, “Unsinkable: The History of Boston Whaler” will help him pass the time. Coinciding with Whaler’s 60th anniversary, the book is filled with historical photos, hand-drawn plans and technical drawings. 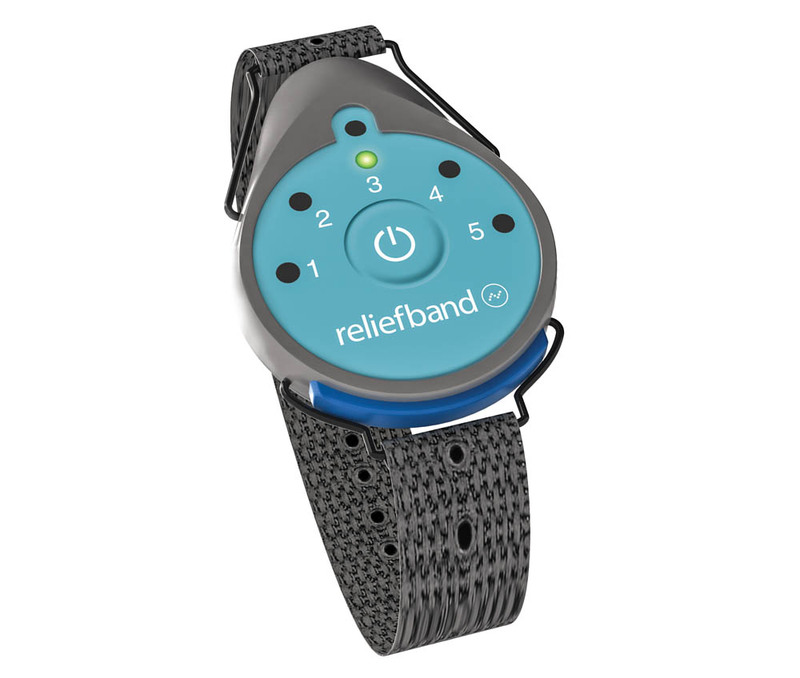 If mal de mer keeps anyone in your life off the boat, Reliefband is an FDA-cleared wearable solution that uses pulses transmitted from a pressure point in the wrist to the nausea-control center of the brain to eliminate seasickness. If room for an onboard bar is limited, the Docktail Semi Custom Bar can provide temporary relief. 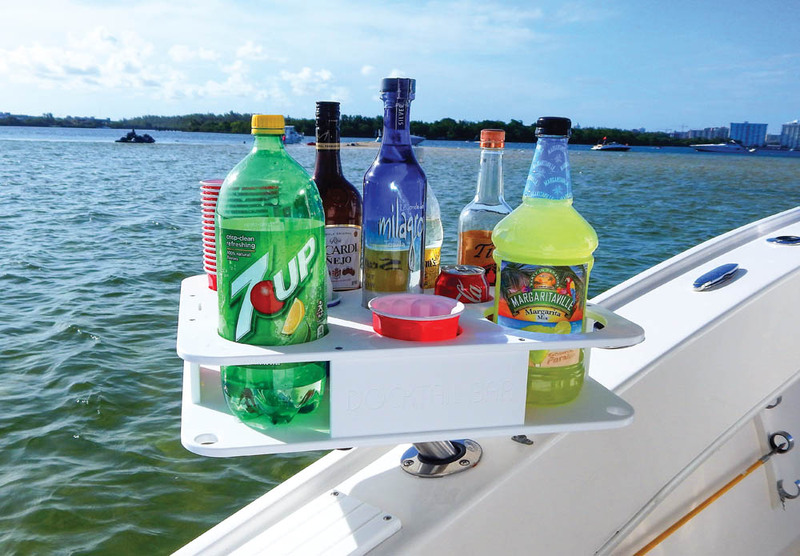 Designed to mount in a rod holder or on a square pontoon rail, the bar can hold a combination of bottles and cups. Inserts provide added versatility. 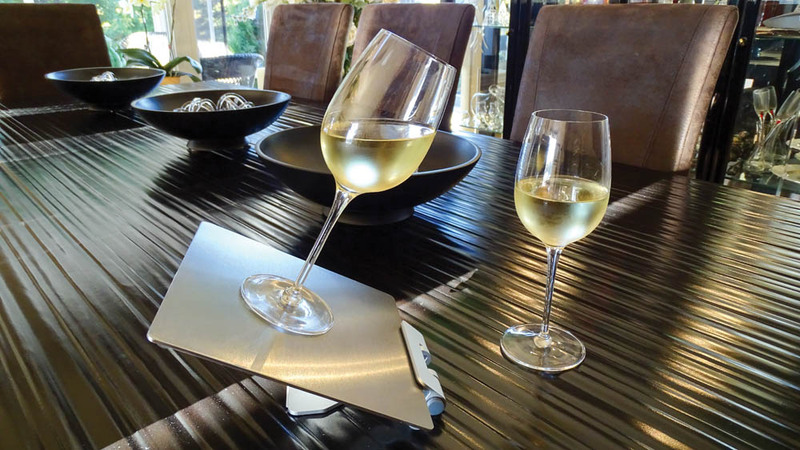 For the boater who appreciates a sunset glass of wine at the dock, Anti-Spill Wine Glasses from Royal Stabilis are crystal with a magnetic bottom that stays attached to the Magnetic Stainless Steel Board (sold separately). A non-slip bottom keeps the board from moving. Using one’s shirt sleeve isn’t the best way to clean an MFD screen. 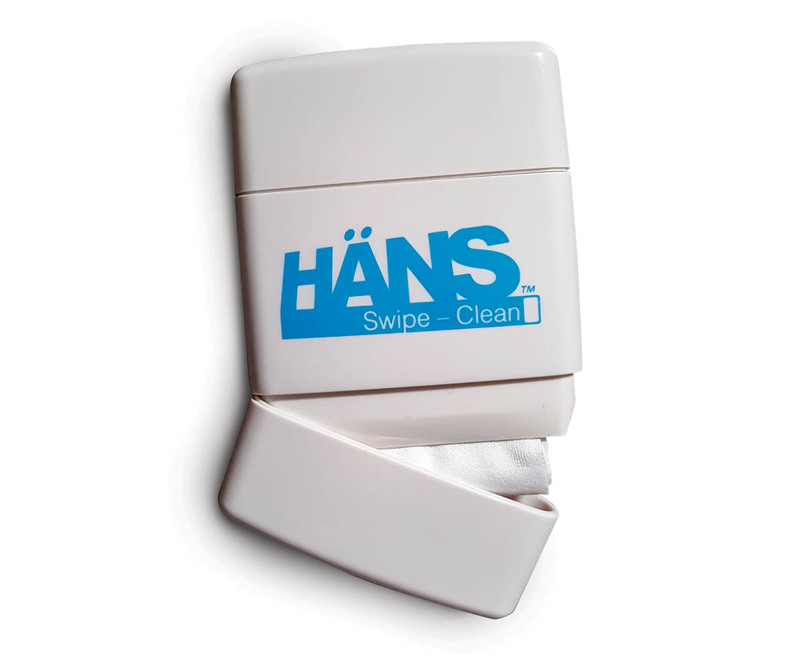 Keeping a Häns Swipe near the boat’s dash is a better option. With a moist cleaning pad on one end and a microfiber polishing cloth on the other, it’s a handheld cleaning solution on board. 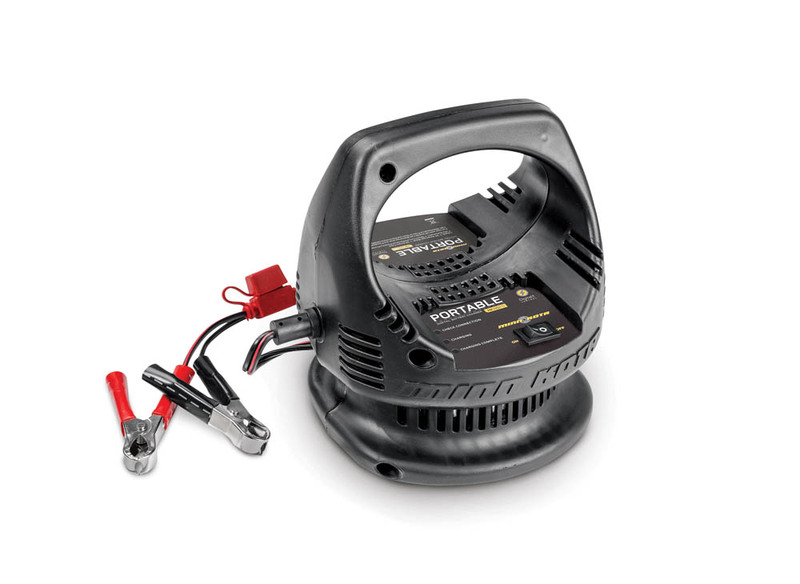 The Minn Kota 10 Amp MK-110PD portable single-bank digital battery charger has automatic temperature compensation, an LED display, multistage charging and auto shut-off. Boat owners can expect maximum cranking power and extended battery life. 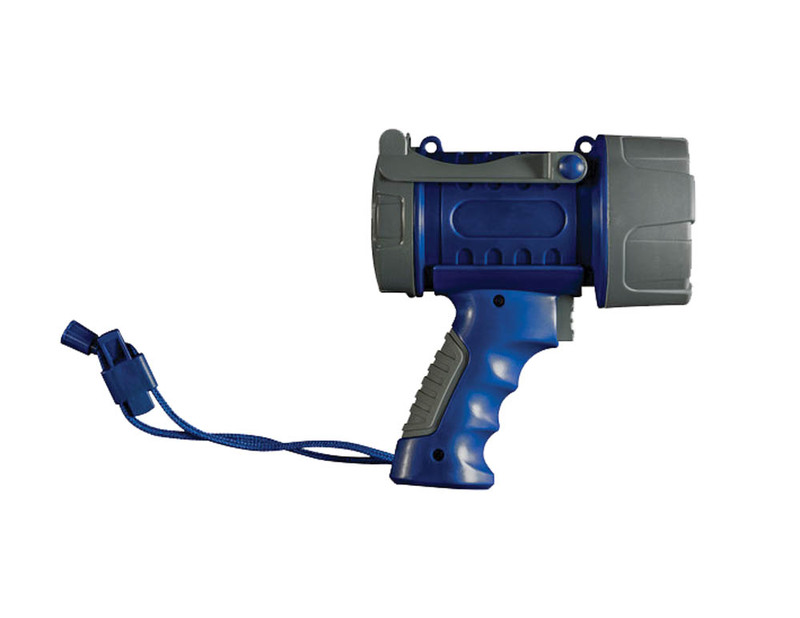 A durable, waterproof, handheld LED spotlight comes in handy in a variety of situations aboard a boat, and West Marine’s 250-lumen spotlight, with a rubberized lens protector and two power settings, is ready for the marine environment. Get one for yourself too. 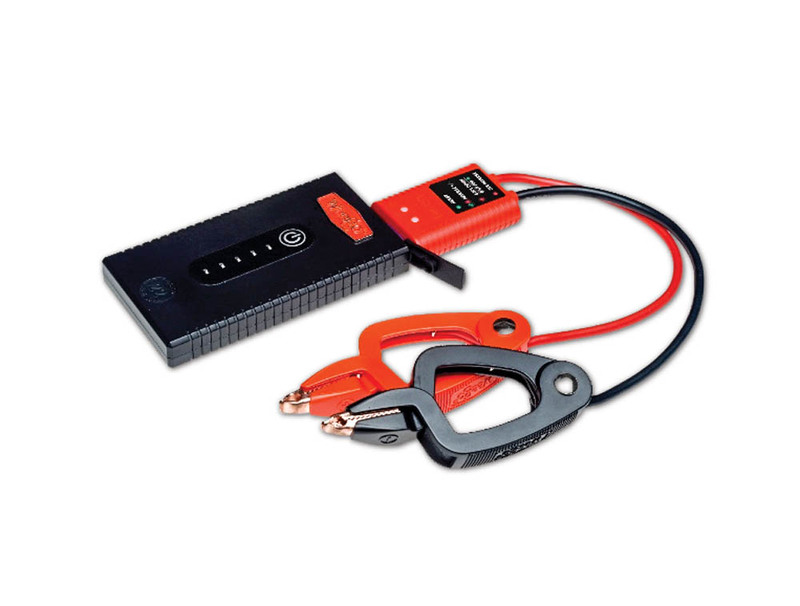 The new Weego Jump Starter 22 has just one mission: to jump start a boat when the batteries fail. While this unit doesn’t have the charging ports or flashlight other Weego models have, it can jump start gas engines up to 5.0L and diesel motors up to 2.5L. The WOW-Sound Speaker is an outdoor waterproof, shockproof, dustproof speaker whose bottom can fit it into most cupholders. 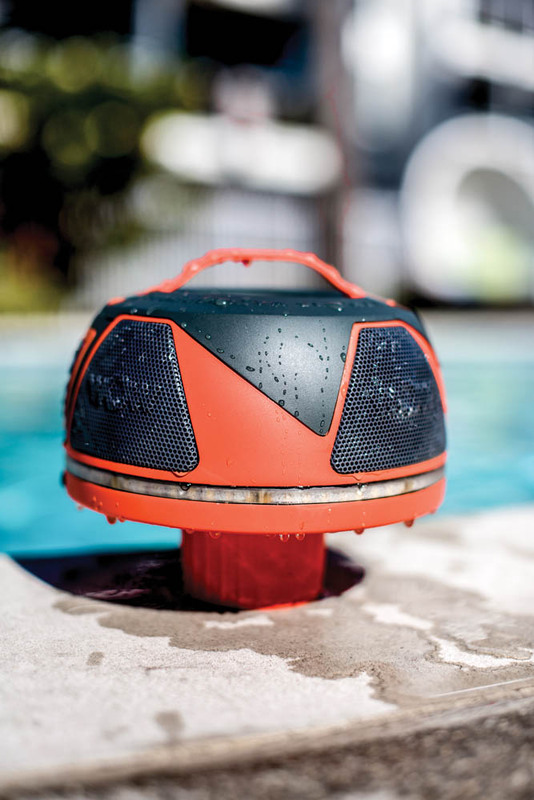 The round design delivers 360-degree sound that is high volume and in stereo, and the speaker comes with a float, so it can join the action off the boat. 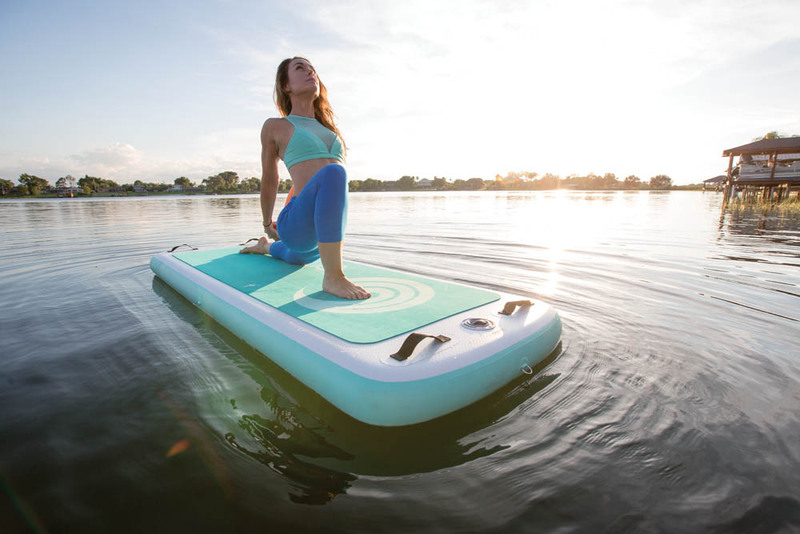 Kusha from Connelly is an inflatable standup paddleboard that is also a yoga mat. A center fin provides stability, an EVA deck pad provides comfort and the fact it’s inflatable means it doesn’t have to take up too much space on the boat. 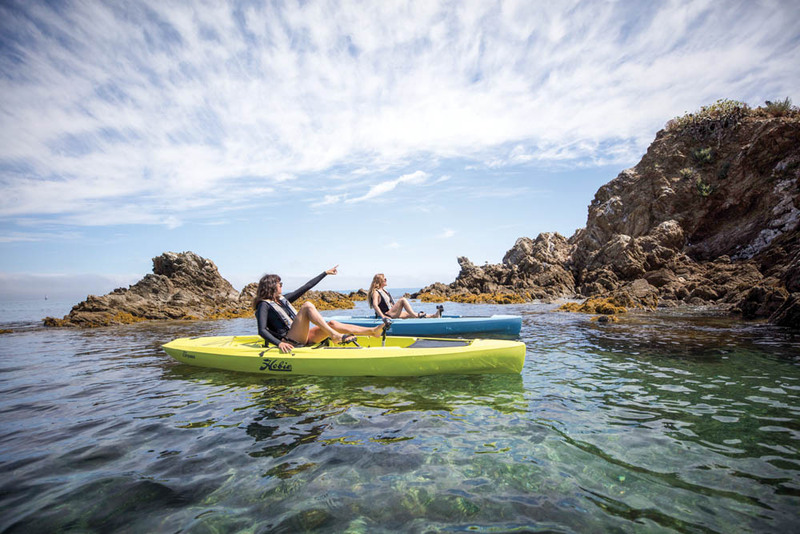 Get the kayaker on your list the latest from Hobie. The Mirage Compass kayak includes the MirageDrive pedal system, a mesh seat, molded-in rod holders, accessory mounts and a transducer cavity for a fishfinder. Pedal or paddle. It’s up to the user. 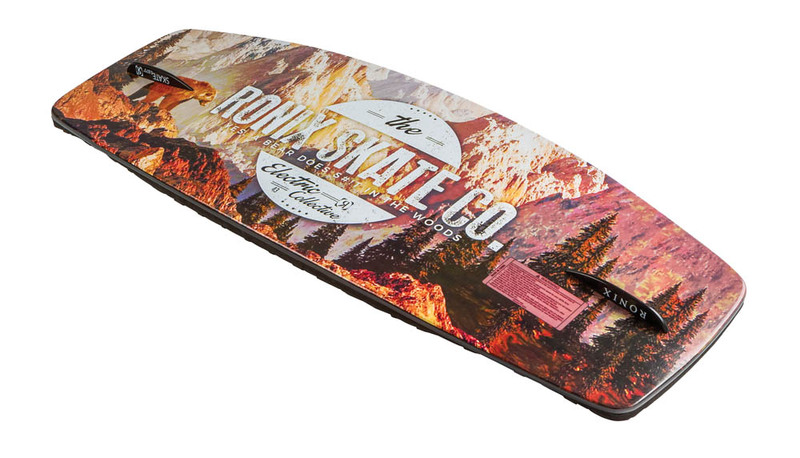 For someone who already owns kayaks or standup paddleboards, Hammocraft provides versatility. 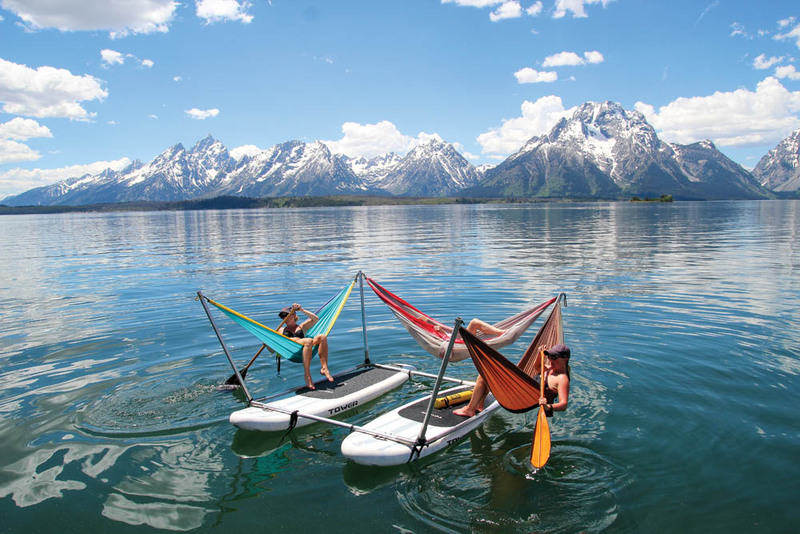 The aluminum frame with steel corner connectors can rest atop kayaks or SUPs, and it holds up to five hammocks, for a leisurely float. It will definitely be a surprise. Is someone in your house ready to take a leap forward in her riding? Give her a rope that will help. 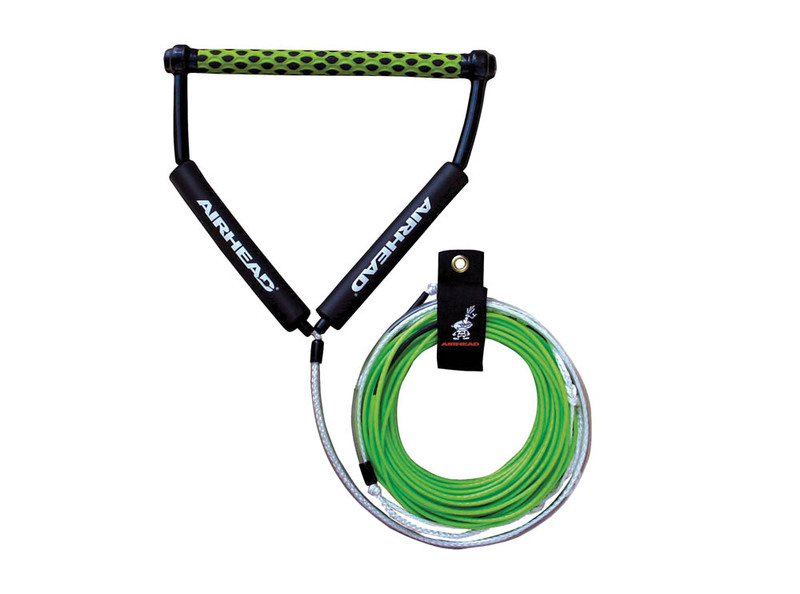 Spectra Thermal rope from Airhead has zero stretch, so its response is instantaneous, and it won’t kink or twist. It comes with a 15-inch EVA grip. 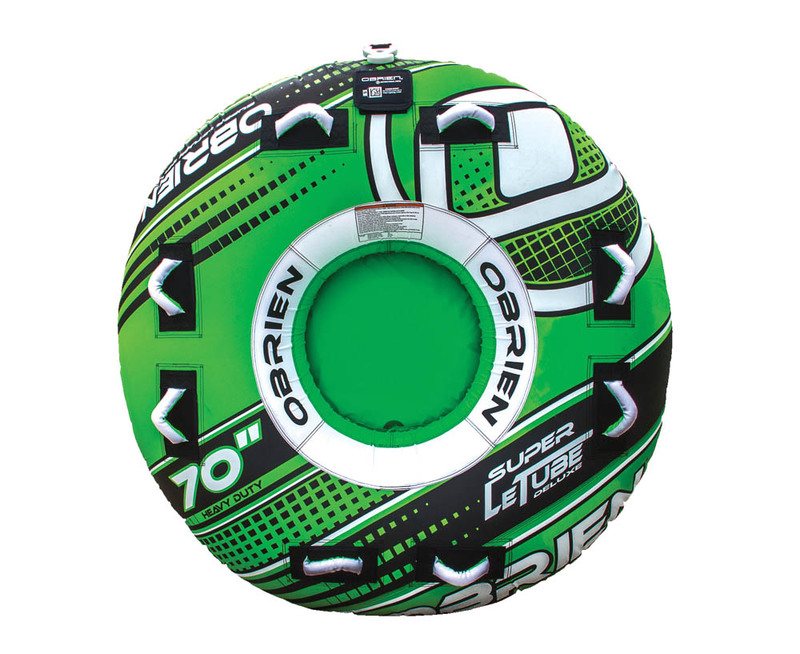 When it’s time for a new look behind the boat, a new towable tube can brighten things up. The choices are endless from manufacturers such as Sportsstuff.com, RaveSports.com, ConnellySkis.com, FullThrottleWatersports.com, Obrien.com, NashMfg.com, WOWWatersports.com and HOSports.com. Toys start around $50 and go up to several hundred. Know a bass fisherman who wishes he had an MFD in the bow? 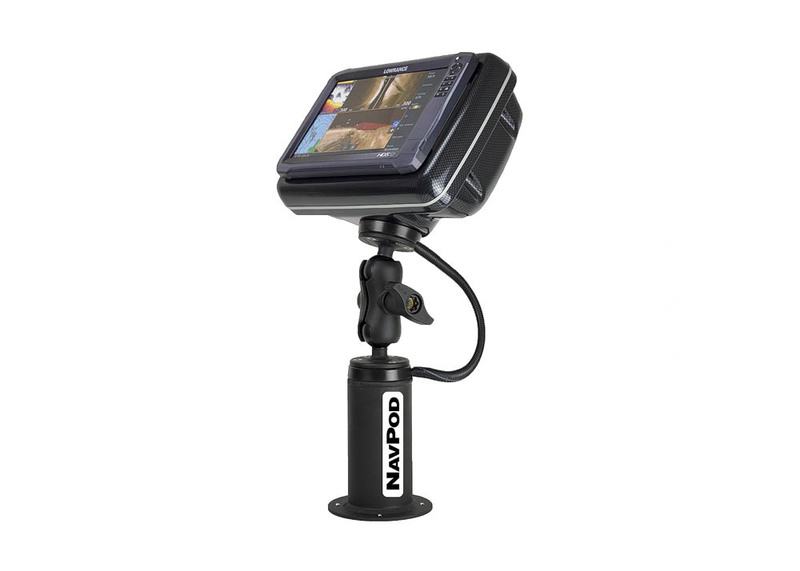 PedstalPod RAM mounts are watertight housings for various manufacturers’ 7-, 9- and 12-inch displays, and they get the MFD 20 inches off the deck, making it easier to reach and see. 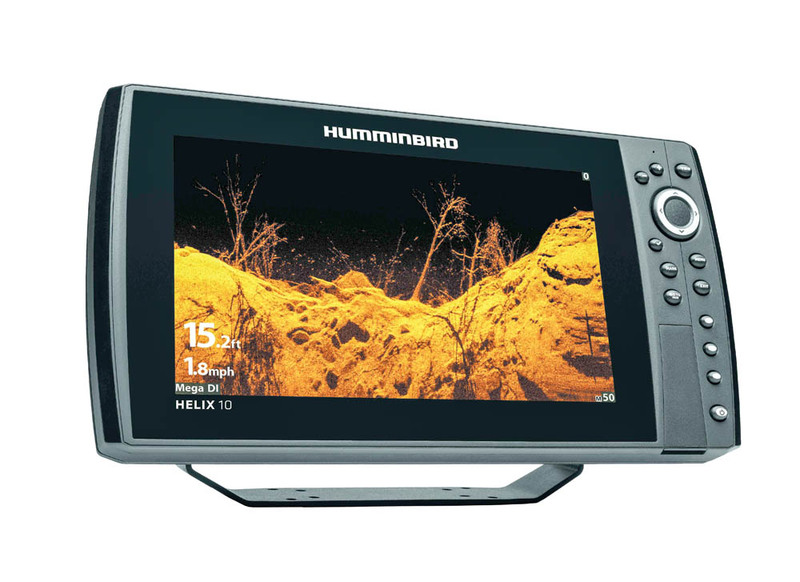 MEGA Imaging from Humminbird delivers sharp, detailed screen images from Side and Down imaging sonar, and the Helix 10 is capable of displaying the images in LCD clarity, even in sunlight. It can also connect to a Minn Kota i-Pilot Link trolling motor, a smartphone and other Helix units. Giving someone the ability to spy on fish in HD and even record the catch might make you Santa of the year. 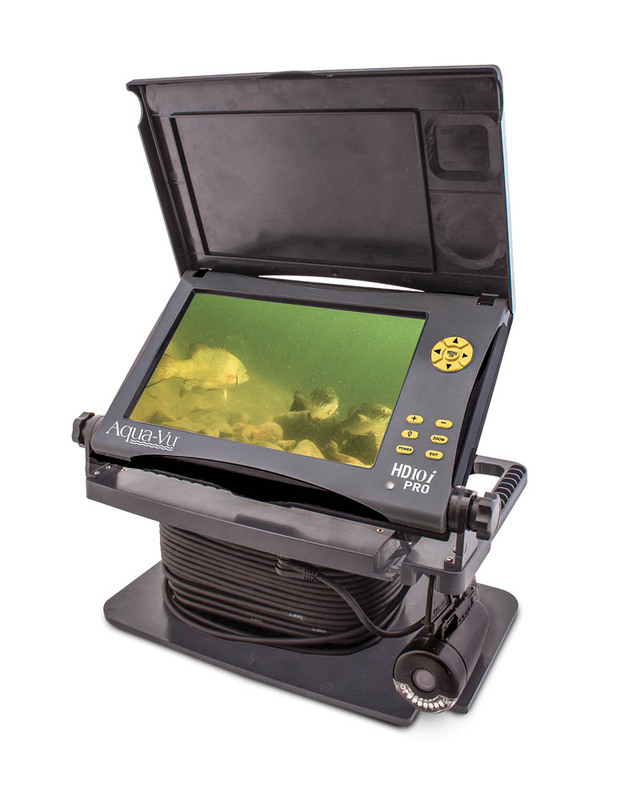 Aqua-Vu’s HD10i Pro is a user-friendly live video system that includes the camera and an LCD monitor for the boat. Apparel that multitasks can be invaluable. 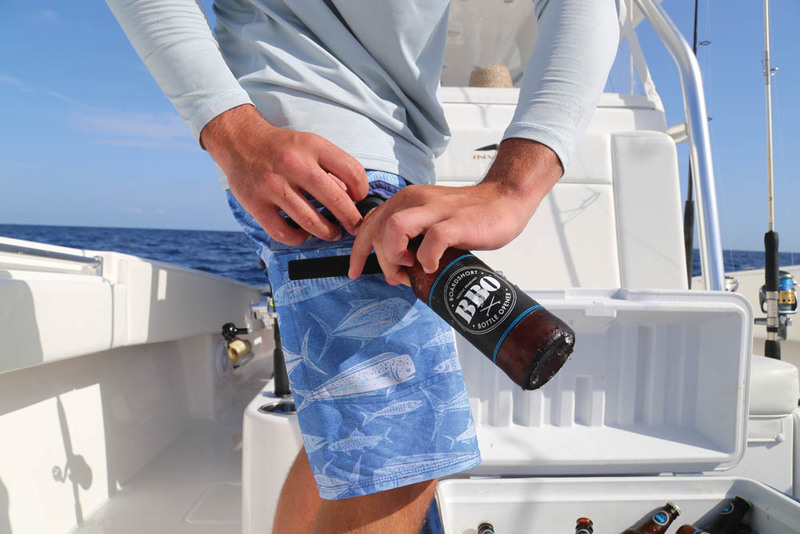 Give someone boardshorts with a Boardshort Bottle Opener secured inside the Velcro pocket, and your gift will be as useful after a day on the water as during. The Reel (pictured) and Mano styles have a pliers pocket, too, for anglers. 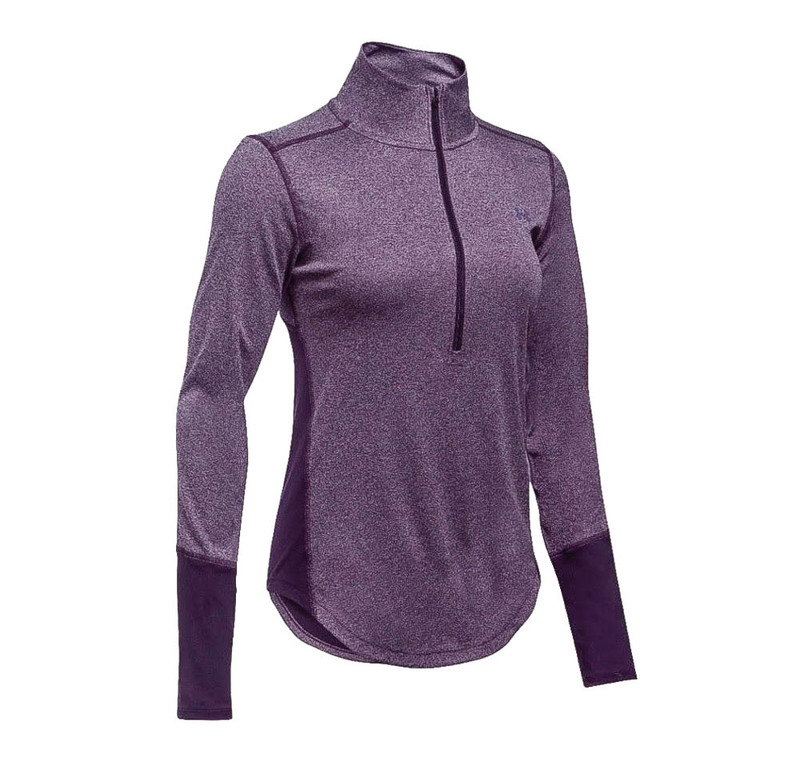 If a woman on your list loves being out on the water catching fish but would like less sun on her skin, the CoolSwitch Thermocline long-sleeve shirt from Under Armour might make her happy. Its material keeps heat away from one’s skin to maintain the body’s cool. 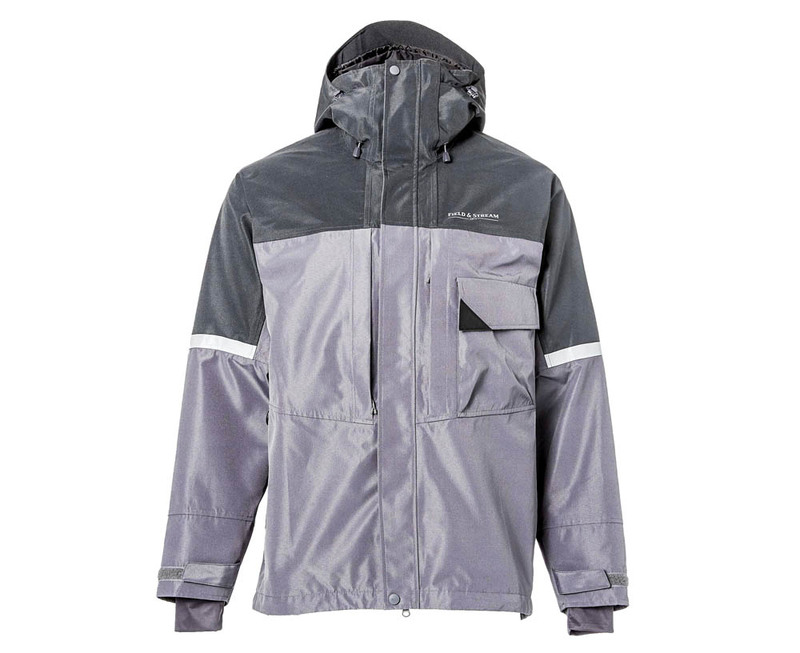 Give the angler in your life a few more days on the water next year with a Torrent Defense Rain Jacket. Made with breathable, waterproof HydroProof Elite technology, the jacket has six pockets, D-ring gear attachments, an adjustable hood and more. 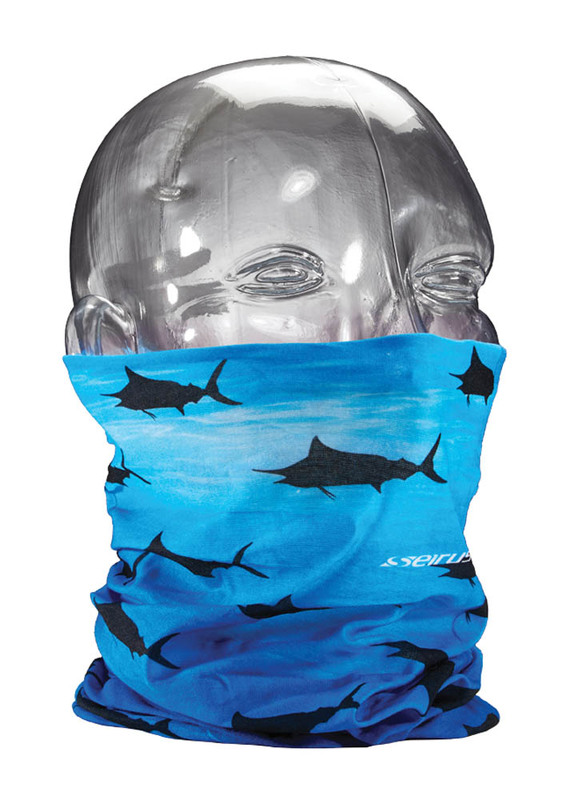 With UPF 25 protection, breathable polyester construction and wicking properties, a Sunthing from Seirus will protect an angler’s neck and face from the sun’s harmful rays but won’t be stifling. 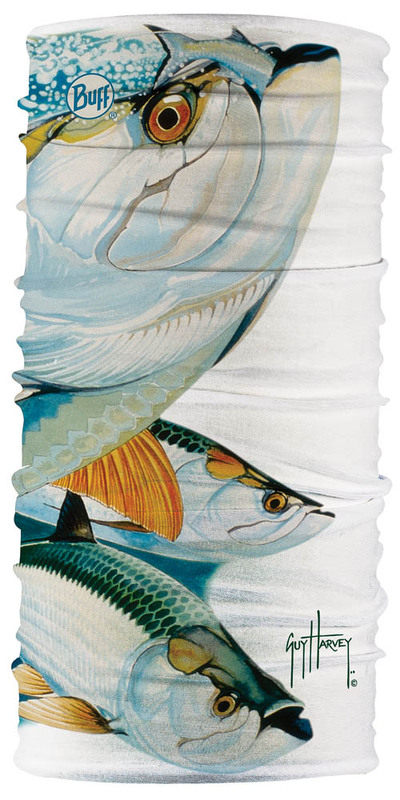 Decorative neck gaiters are an effective and fun way to save one’s neck and face from sun damage, and Buff offers many styles, including models from Guy Harvey (pictured) and Derek DeYoung. Moisture wicking and odor resistant, a Buff gaiter will be a welcome gift. For a boat owner who likes to troll but doesn’t have a kicker motor, Happy Troller can help. 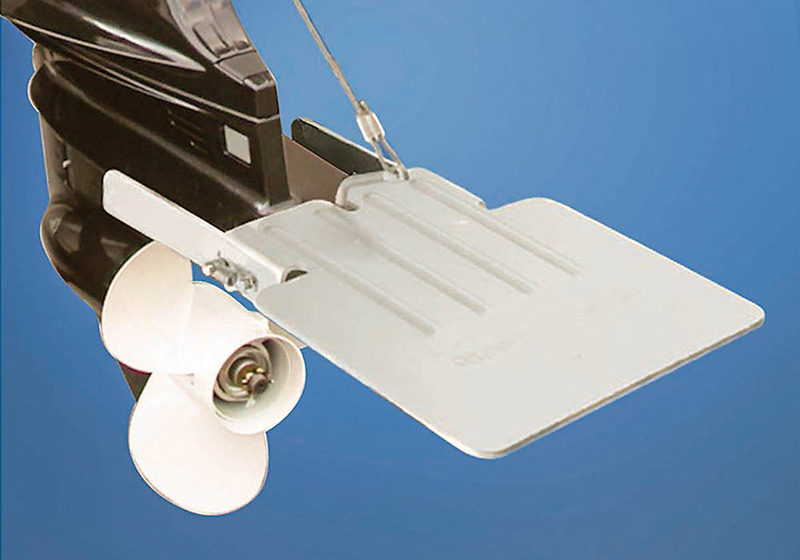 The device diverts the prop’s thrust and slows the boat to trolling speeds. And it adds stability at cruising speed. One model is for outboards from 20 to 50 hp, another is for 50 hp and more.